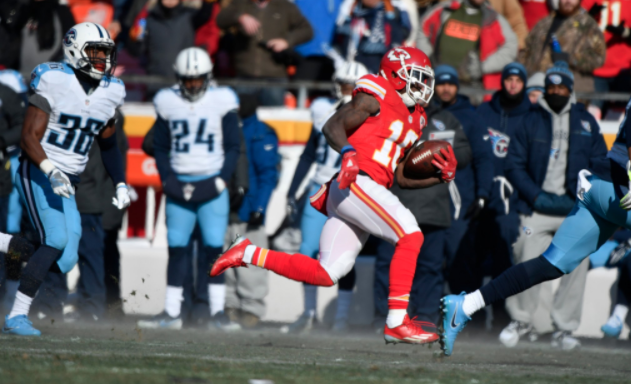 Say what you want, but Tyreek Hill has been gold for the Kansas City Chiefs. The native of Pearson, Georgia, went undrafted after some issues with domestic violence, but he’s taken the Chiefs offense to a new level. Watch as the speedy wideout takes a handoff and cross over the Tennessee Titans' Kevin Byard before outrunning the entire defense for a 68-yard touchdown.